After several months having not played FootGolf, Paul Oliver finished second on the 2nd stage of the Tour. He finished only one shot away from the winner in the Irish Open, but was strong enough to secure second place in the playoff against Dutchman Björn Bulk. You had a long break, and returned to FootGolf with a podium finish. I last competed in the EFT Grand Final in Morocco. 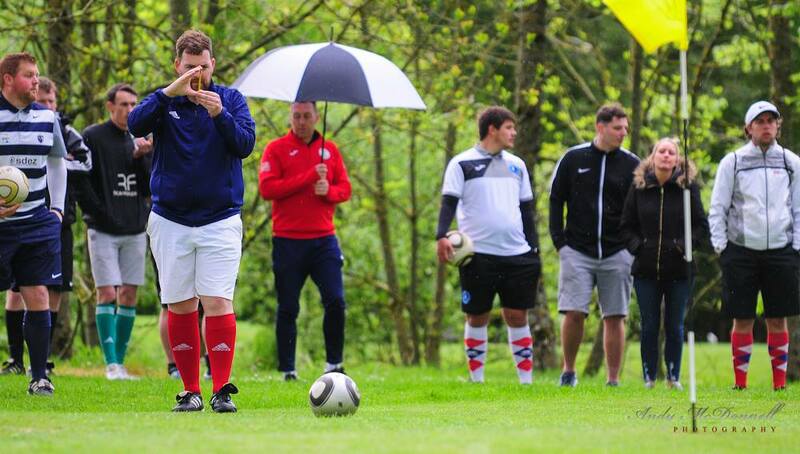 Since then I have taken a role with FootGolf France and combined with my role back in the UK it has meant I haven’t had the chance to play. Now living in Paris, I managed to get to a park last week and aim for trees and drains – it reminded me of how the Swiss initially introduced the sport in their country. Are you satisfied with your overall performance or a bit disappointed finishing just one kick behind Cathal? We heard on the course Cathal was -12, so both Tom (Spink) and I were pushing on and I think the difference was my experience at those killer times. I knew I had to birdie in from 14 and unfortunately only parred 16. At one point, I thought I had eagled 18 but the balled stopped 2-3 metres short. Of course, I always want to win but more important, I always want to feature and I think the biggest strength of my game is the consistency. You see players like Kuipers or Mancino up and down the leaderboard but my name is always near the top so that is satisfying. But I need to win now. How did the playoff pan out? The playoff was fairly simple really, I knew I was longer than Bulk off the tee and I put him under pressure. I had just made a comfortable birdie during the final round and knew I was capable of doing it again. Unfortunately for Björn he hit a couple of loose shots at the wrong time. Do you have a plan to attend other EFT stages this year? I’m very busy with FootGolf commitments in UK and France but aim to play Capital Cup and Italy, and of course The Jansen Cup next week. If I have the time I will play 2-3 events more this season. 2 Replies to "Two metres from the Championship"
Paul Oliver is great player. No maybe little respect for opponents is pity. Your headline should read 2 metres from a Championship play off.